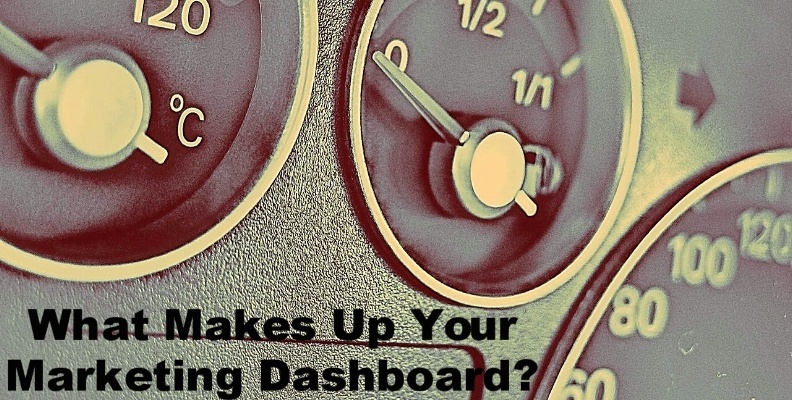 What Does The Dream Digital Marketing Dashboard Look Like? If you could choose the metrics that you saw at a glance whenever you wanted to review how well your marketing team and their actions were doing, what would you review? Would you focus on growth within your various marketing campaigns and sources? Would you look at lead generation? Would you worry about the bottom line and what you’re driving? As digital marketing continues to take over more and more of companies’ marketing and new business development budgets and as the ability to connect the various platforms and technologies used throughout a business (marketing automation, sales CRM, account & finance, customer support, etc.) begins to show up more and more often, the need for marketers to quickly and easily sort through the increasingly large amount of data collected has increased as well. Thanks to these new platforms’ abilities to track and attribute just about anything we do within our new business development activities, we now must be able to track and point to a growing list of different KPI’s to show our campaigns’ progress if we want to continue to keep our budgets. With that in mind, we’ve compiled a list of different metrics that both Revenue River and our various clients track on a regular basis to ensure that our marketing is driving the necessary results. For many, tracking your website’s traffic is one of the first things you would do since it can often be directly attributed to many other KPI’s further down the line including leads, qualified leads and customers. Outside of just tracking monthly, quarterly and annual traffic numbers, you should also be interested in seeing these compared against goals and previous numbers (including previous months’, 3 months’ and years’ trends). Aside from seeing how many people are hitting your site within a certain timeframe, it is always good to know where they are coming from. Understanding what your site’s sources breakdown is, whether it be referral-heavy or organic search-dominant, will help you more easily spot growth within certain areas or potential issues within your marketing. For example, if you know that your site averages about 35% of its monthly traffic from organic search and you see a spike to 50%, you will now know that you’re campaign is working and will be able to dig in to see what specifically drove that increase. On the other side, if you know that your direct traffic usually accounts for about 20% of your sites traffic but during one month it spikes to over 40%, you may want to look in to see if there was an issue with blocking a team member’s IP address (website development can often skew these reports if not properly blocked on the front side) or if you were recently promoted somewhere online that sent people directly to your site. One of the key benefits of inbound marketing is the fact that you establish a strategy that helps convert the traffic on your website into leads. Tracking how many leads your site is receiving on a regular basis becomes obvious then, but what isn’t as obvious is comparing those numbers to both goals and previous time periods, just like what we have done in the traffic section above. Again, similar to the traffic source section above, tracking where your leads are coming from will help you better understand the health of your lead generation campaign. Do you know what sources most of your leads come from? Would you know what was behind it if you saw a spike in leads from a certain source? 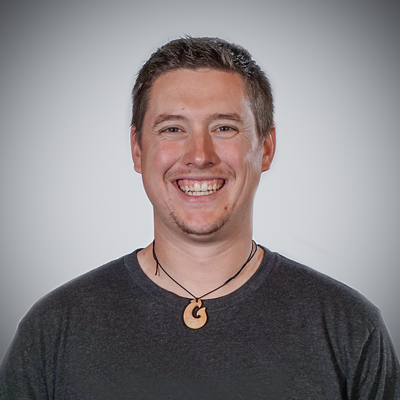 Having a clear picture of what sources your leads come from and their average monthly contribution is will help you better spot successes and irregularities within your campaign results while also giving you a better idea of what you should be focusing more of your marketing efforts on moving forward. With most marketing automation platforms, tracking traffic and leads is pretty much automatic. People come to your site, their tracking software sees it and updates your reports. People fill out a form, the platform notes it in your database. From that point on though, tracking which of those leads are actually qualified to hand over to sales can still be a very manual process. If you don’t have a system in place to either manually track marketing qualified lead generation or automate it, you’ll want to so that you can better understand how many leads deemed “qualified” by your marketing team are being generated on a monthly basis. Once you’ve set a system up to properly track these leads, you’ll want to compare them against goals and previous time periods’ results to understand if you’re seeing growth or decline in your efforts. Knowing where your qualified leads are coming from can be a very important thing when it comes to understanding where you should be spending your marketing time and budget moving forward. Are you spending thousands of dollars a month generating hundreds of leads using PPC to only net a handful of qualified leads while your organic traffic is bringing in double the qualified leads for free? You might want to know that before someone else starts asking those questions. Generating a lead and qualifying it based on your marketing standards is great, but do you know if your sales team agrees with your conclusion? Much like having a system in place to track marketing qualified leads, you’ll want that system to also track to rest of the lifecycle stages a lead goes through, including sales qualified. Knowing how many of the leads that your marketing has generated have passed the sales team’s sniff test and contact procedures will give you a better idea of whether or not your team is performing for the entire organization or letting the sales team down. Alongside that, having this system in place allows for you to establish a solid set of sales qualified lead goals in the form of a SLA between the marketing and sales departments. Tracking how you’re doing against that SLA alongside previous timeframes will provide all the proof needed as to whether or not something is working or broken. Same as the other sources sections above, knowing where your most qualified leads (the ones who are actually starting the sales process) are coming from can help you on multiple levels. From understanding where to dedicate more of your time and resources to drive more leads like these to building out specific sales contact scripts based on what we know about qualified leads coming from different sources, knowing the breakdown between these leads can be extremely helpful. Without the proper visibility, once marketing teams handoff their leads to sales they can feel as if all of their hard work is being sucked into a black hole. If your marketing automation and sales CRM aren’t integrated in a way that allows for marketing to see where their SQLs are within the various deal stages that your sales team has established, it can be hard to truly see how much marketing is contributing to the bottom line. Once you’ve established a connection between the two departments and their platforms, having visibility into where your marketing-attributed leads are within the sales funnel deal stages and how long they stay within each one will give you a better idea as to how many of the SQLs developed by marketing are moving further into the sales process and where there may be hang-ups within that process. Ah yes, the often spoke about, but seldom tracked marketing revenue. If your marketing automation and sales CRM systems are properly integrated and have a system in place to correctly attribute revenue earned from different sources, you will most certainly want to track how much revenue can be directly attributed to your marketing efforts compared to goals (or directives) and previous timeframes. Knowing how much revenue your actions can be attributed is great but having this historical information can also provide you a better understanding of any seasonality that your business or department may face. If you and your organization are concerned about the efficiency of your sales team in terms of the amount of time spent in the sales cycle, tracking how much time your new customers spent from first sales touch to signed contract can be very helpful. Not only does this information let a marketing department pat themselves on the back if they can showcase that their leads are spending less time in the sales cycle but knowing this can also help establish more accurate sales projections for future upcoming months. Knowing which lead sources are ultimately providing the best customers in terms of retention rate can be a big help for larger organizations. Having the knowledge of whether or not the customers coming from your marketing actions are turning out to be quality can help you and your department better understand if you are targeting the right types of people or markets with your campaigns. With the large amount of data being collected through the different platforms used by businesses, marketing leaders and others close to them need to be tracking these metrics and others like them on a regular basis to not only prove to their superiors their progress but also to provide much needed insight into what is and isn’t working within their campaigns. If you’re looking for help in establishing the connections necessary to properly track these metrics or need a team to help improve them, reach out to Revenue River and let us establish a results-focused plan to help you get where you need to be. What is Sales Enablement and Why Should You Care?